Is there an equivalent term to “hedgerows” for fields that are marked out by drystone walls rather than hedges? 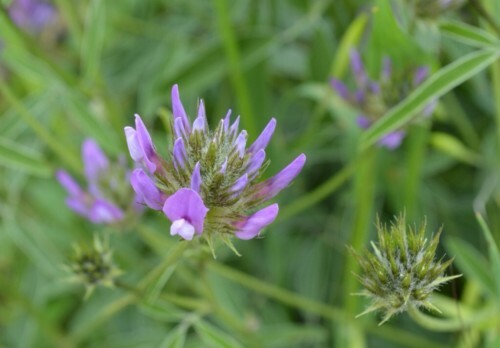 You know, that protected area bordering paths and around the fields where the natural vegetation still thrives, and native wildflowers hide among the greenery? If not, there ought to be. The recent change in the weather arrived with a howling bura, a very strong northeasterly that made it fairly uncomfortable to be out and about in exposed places. 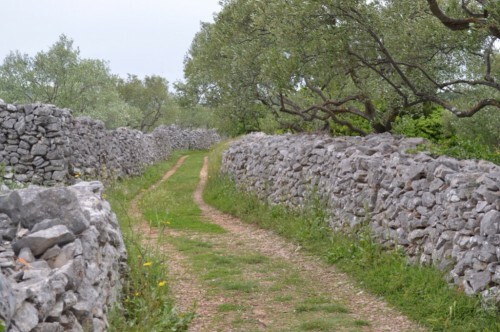 However, it was a perfect time to explore some of the paths of the Stari Grad Plain, protected as they are by stone walls! Setting out from Vrboska, we headed along one of the old streets as laid out on the original Greek plan. It’s double width, to allow access to your field with a cart. Along the sides of the lane are herbs and native plants galore! The flowers here are rather further into their season than those at altitude in Humac, but there are still plenty to be seen, some familiar as garden flowers, others less so. Pretty little flower, no idea of name! Off to each side are narrower paths, giving access to individual fields. Sometimes these go between walls, and other times look more like you’re treading along the top of a wall! 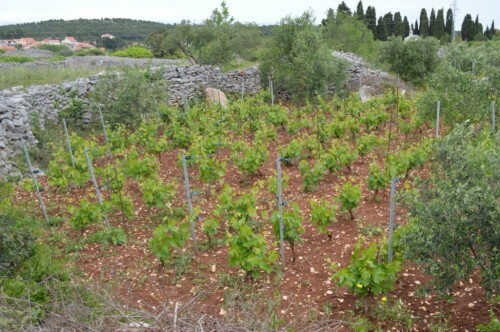 Cultivated crops here are a mix of grapes, olives and figs, tucked into small parcels as the rocky soil allows. The walls are constructed from the stone that’s been cleared from the land – building a structure keeps them out of the way and is very useful. Once the stone is removed, the soil is rich and red. 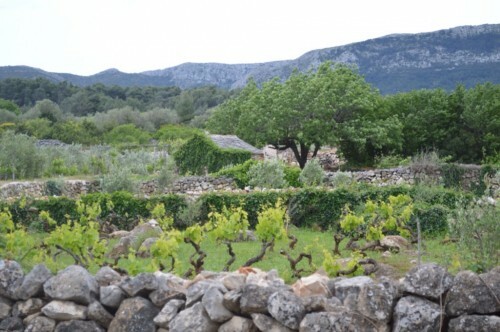 At this time of year, the vines are sprouting fresh green leaves above the twisty old trunks. Alongside the path there’s ivy growing up the wall. 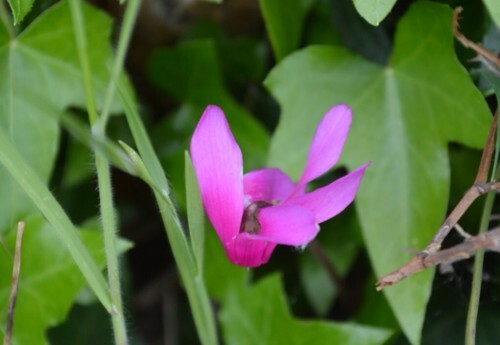 Here and there are glimpses of bright pink – tiny cyclamen flowers hiding in the shade. 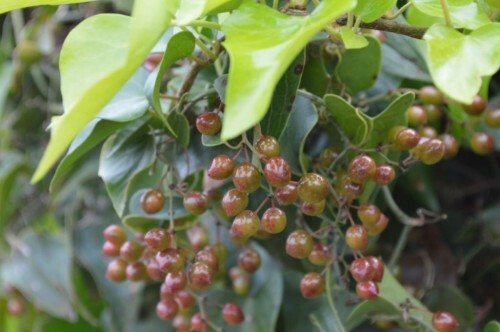 And berries, lots of berries on a vine that’s also using the ivy as protective cover. I’m drawing a complete blank on my search for a name, must remember to look more closely at the leaves next time! 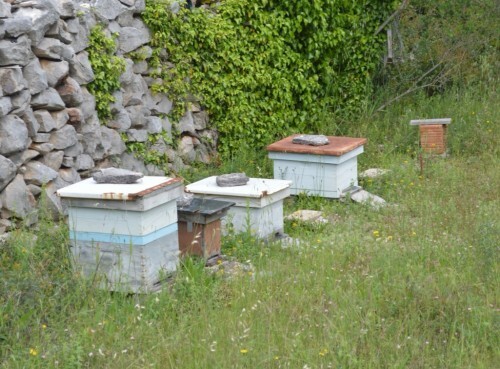 In one of the fields that is otherwise left to nature, we find a row of bee hives. It’s good to see bee culture alive and well here, especially with all these wildflowers around. 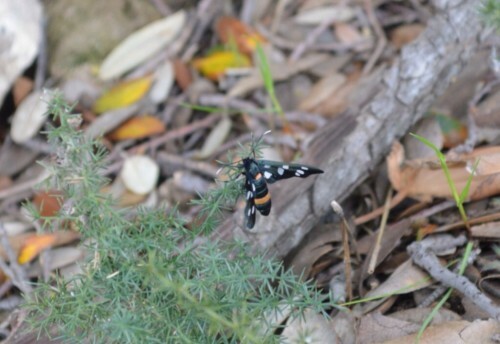 Spotted by the path, so to speak, was this very handsome moth with a yellow cummerbund who turns out to be a nine-spotted moth from the tiger moth family. 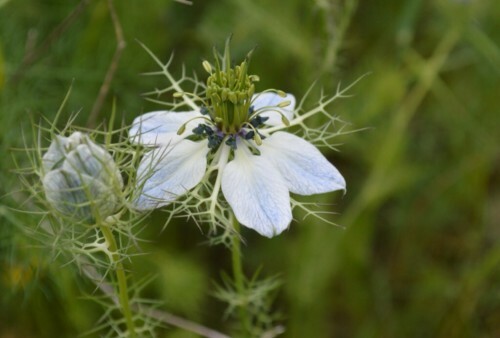 Some of the flowers are very delicate, like this beautiful blue candelabra, just lovely. 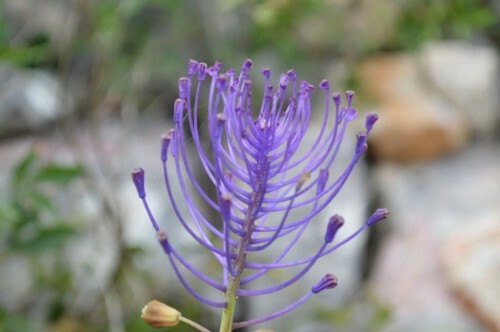 It belongs to the muscari family, and is also known as the tassel hyacinth. 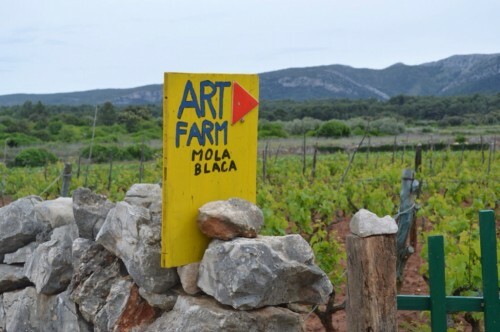 Art farm – what a great idea! Some fields are apparently growing art, which would have been fun to see, but sadly not open at this time in the season. 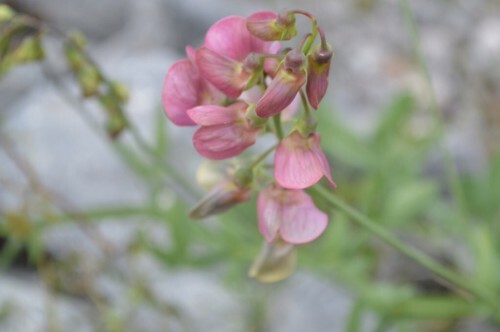 More flowers, this one a lovely muted pink one from the pea family. 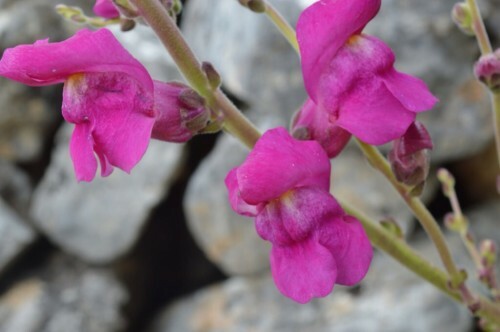 And the more showy pink of a snapdragon, or antirrhinum. 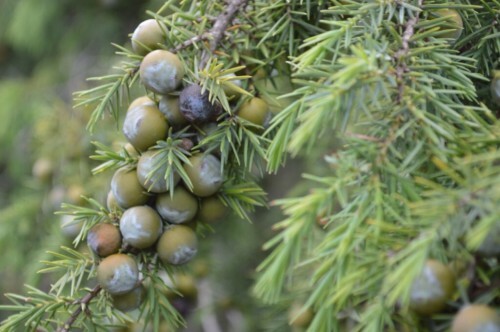 A tight cluster of juniper berries, growing right beside the path. 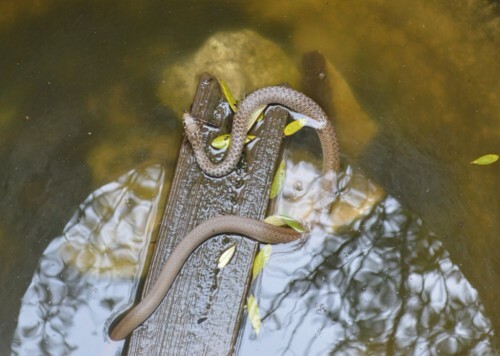 And a surprise resident in an old cistern, the temporary pond is very suitable for this tessellated watersnake, who was comfortable enough to stay around to be photographed! It’s known in Croatian as Ribarica, or “fisherwoman” as it likes to eat fish when it can! 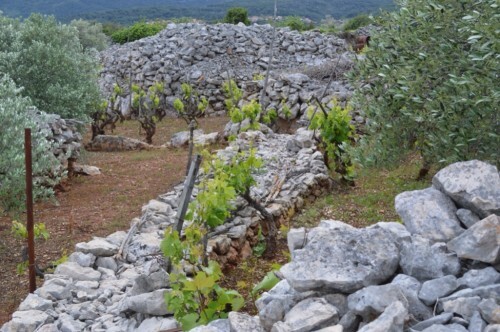 Closer to the main road, the vineyards are more orderly, with small huts or field shelters. This view over the wall shows the regular pattern of parallel walls, as the ancient plots were laid out in a rectangular grid. 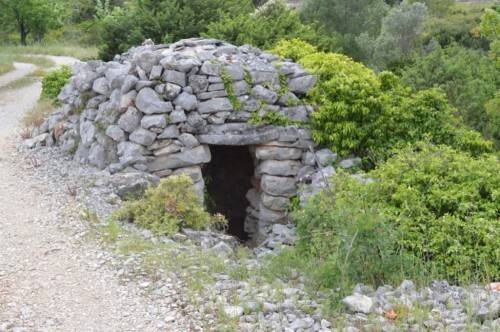 The old style of field shelters are the drywalled trims, still used in many locations around the plain. The newer versions tend to be square but this tiny one tucked in beside the path looks to be quite old. 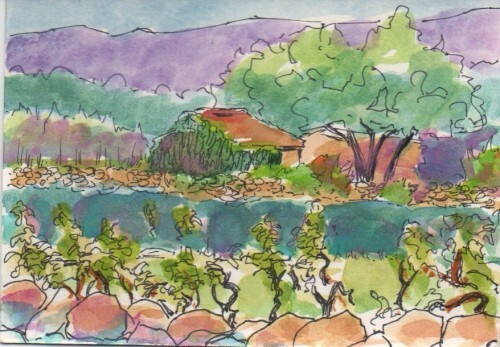 And lastly, my small sketch in ink and wash of that view over the wall.